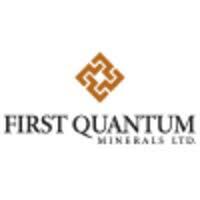 First Quantum Minerals Ltd. (TSX:FM) today announced that it has signed a new $2.7 billion Term Loan and Revolving Credit Facility underwritten by three core relationship banks. This new Facility replaces the existing $1.5 billion Revolving Credit Facility. The new $2.7 billion Facility (with an accordion feature to increase it up to $3.0 billion before the end of 2019) comprises a $1.5 billion Term Loan Facility and a $1.2 billion Revolving Credit Facility (which can be upsized to $1.5 billion if the accordion feature is activated), maturing on December 31, 2022. The Facility will be syndicated to a broad group of relationship banks. The refinancing extends the debt maturity profile of the business. This will eliminate all material debt maturities through to 2022. In addition, it provides liquidity headroom under our Revolving Credit Facilities. This financing continues management’s long held practice of proactively addressing debt maturities and further demonstrates the Company’s access to a diverse range of capital markets. The financing includes revised financial covenants, an extended amortization schedule for the Term Loan Facility that starts in June 2020 and improves the financial flexibility of the Company through the added liquidity.